Discover a relaxed shopping haven, in the beautiful Oxfordshire countryside. With more than 160 boutiques showcasing the world's leading fashion and lifestyle brands, and all offering exceptional savings, all year round. Find out more at www.Bicestervillage.com. 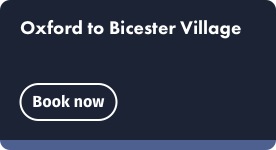 Get there with Chiltern: Travelling to Bicester Village has never been easier with our new dedicated station open right next to Bicester Village. 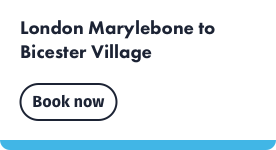 From London Marylebone you can now travel directly to Bicester Village station with two trains per hour and journey times from 46 minutes. 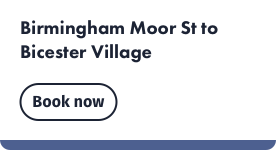 From Birmingham Moor St you can still travel to Bicester North and take the shuttle bus to Bicester Village. 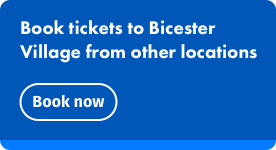 Book your next journey by clicking one of the buttons below.